 Many of the professional Realtors on the Erica Diaz team are Oakland residents and are passionate about helping home buyers fall in love with this beautiful community that they call home. If you are looking for a low-key community that allows you to connect with nature while still being close to some of the area’s most popular amenities, you’re going to love the wide variety of real estate that Oakland has to offer. 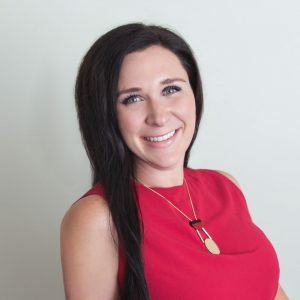 If you’re ready to see why so many families and young professionals are heading to Oakland, call Erica Diaz today. 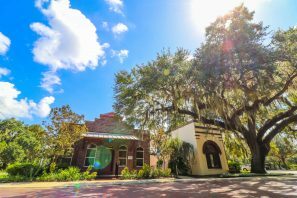 Far away from the lights and crowds of Orlando’s famous theme parks, there is a quaint city nestled under mature Oak trees. 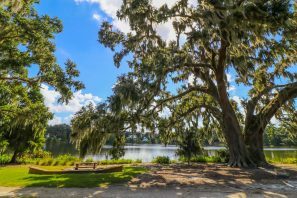 Oakland is a quiet community of new developments and established neighborhoods, shady parks, walking trails, nature preserves, and a rich history dating back to the late 1800s. Living in Oakland means block parties, citywide yard sales, food and wine tastings in the park, and movies under the stars. Oakland residents come together to celebrate holidays together, as the city hosts seasonal events such as an annual Halloween Bash, Memorial Day Ceremony, and Christmas festivities at the Grand Fountain Plaza in the middle of town. Oakland offers a variety of different real estate options, ranging from charming bungalows off of Oakland Ave built in the mid-’40s, to brand new developments with sprawling estates and resort style amenities. Regardless of where you live in Oakland, you’re never far from sweeping Oak trees, and bright and bold gardens. 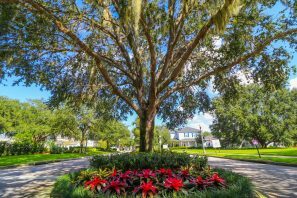 As Winter Garden and Ocoee continue to grow, develop and expand, many homebuyers are choosing to retreat to the tree-lined streets of Oakland for a quieter, more low-maintenance lifestyle. 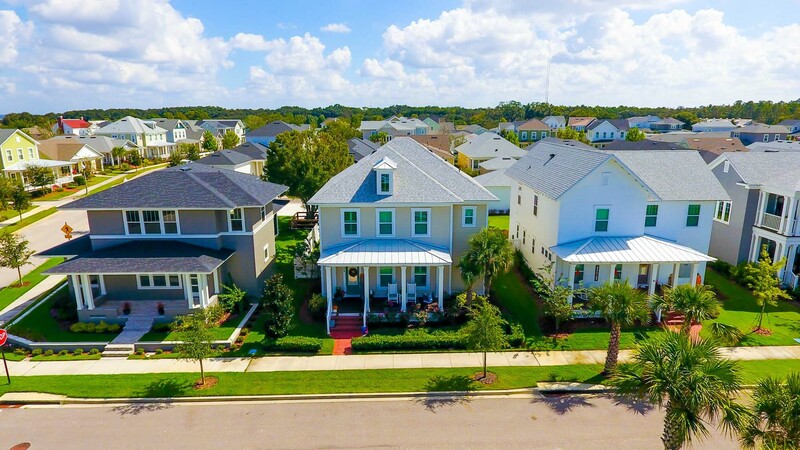 Established homes along Oakland Ave add charm and personality to the peaceful community, while waterfront estates and custom homes in new developments give residents all of the luxury and amenities they need to add comfort and convenience to their busy lives. Oakland Trails is located just opposite of an access point to the West Orange Trail. This location makes it perfect for families who enjoy walking, running and biking on the trail together. Homes in this community start in the low $300s and range anywhere from three to five bedrooms. With five incredible floor plans to choose from, Oakland Trails has custom homes for every type of family. The community features a playground, dog park, resort-style swimming pool with private cabanas, and more. 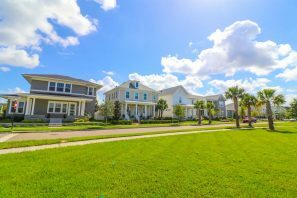 This neighborhood is zoned for some of the area’s best schools, including Tildenville Elementary and West Orange High. John’s Landing has a wide variety of real estate to choose from. 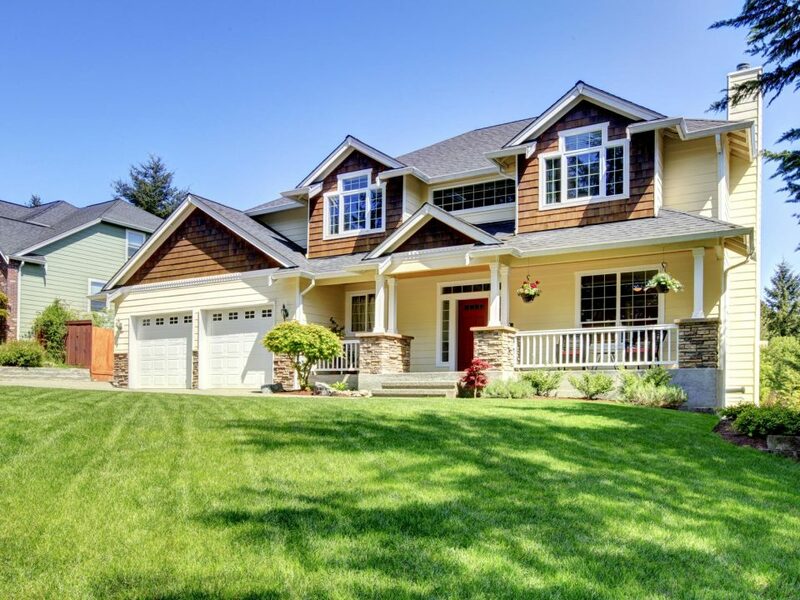 This upscale neighborhood features everything from charming three-bedroom single story homes, to sprawling six bedroom estates. 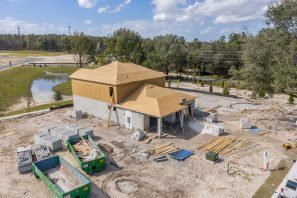 Some homes in this neighborhood overlook Lake Apopka, while more centrally located homes are just a short walk from the community amenities. 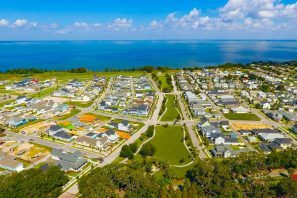 Homes in John’s Landing were built between 2000 and 2017, and can be anywhere from 2,000 square feet to an impressive 8500 square feet. John’s Landing is not your typical, cookie-cutter neighborhood, as most of the houses have their own unique personality and look. Homes here sit on quarter acre lots and range from $200,000 to $750,000. Winters Landing offers reasonably priced homes that were built around 2005 to 2006. Most homes in this neighborhood have four bedrooms and sit on a quarter acre lot. Here, you can find homes ranging from 2500 square feet to 4500 square feet, and ranging anywhere from three to five bedrooms. Residents have access to numerous amenities and are located a short distance to some of the areas most sought-after schools. 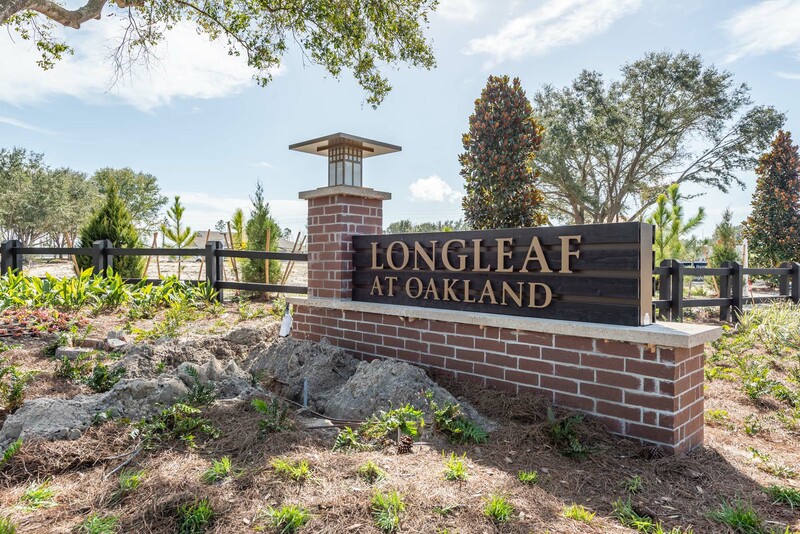 Longleaf at Oakland is another highly-anticipated neighborhood that is developing quickly. This low maintenance community features both single-family homes and luxury townhomes and includes amenities such as an on-site pool with cabana and playground, and offers easy access to the West Orange Trail. Home buyers looking in this luxury community have 13 floor plans to choose from, and homes here range anywhere from 2 to 6 bedrooms. These beautiful modern homes are equipped with upscale kitchens, beautiful contemporary flooring and light fixtures, and spacious outdoor entertainment areas. 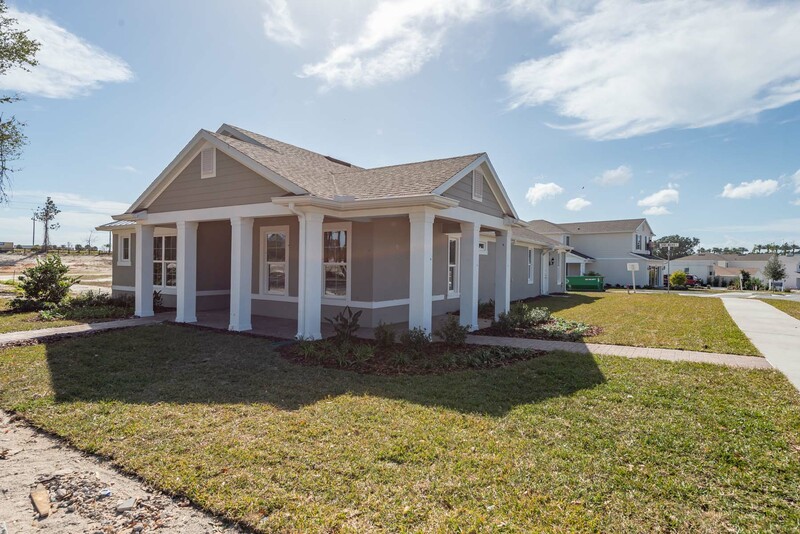 Homes here start in the $250k range and put you just minutes from some of Winter Garden’ most popular restaurants, shops, and the nationally recognized Farmer’s Market held each weekend. In Oakland, neighbors are not just people that live next to each other. This tight-knit community is home to generations of families that do life together. Residents support local businesses by shopping at one of five general stores, a hardware store and a local shop where locals can pick up hay, fertilizer, and grain. After school and on the weekends, the beautifully shaded 5-acre park in the middle of town is a clean and safe place for residents to get together to run, play, exercise or picnic. 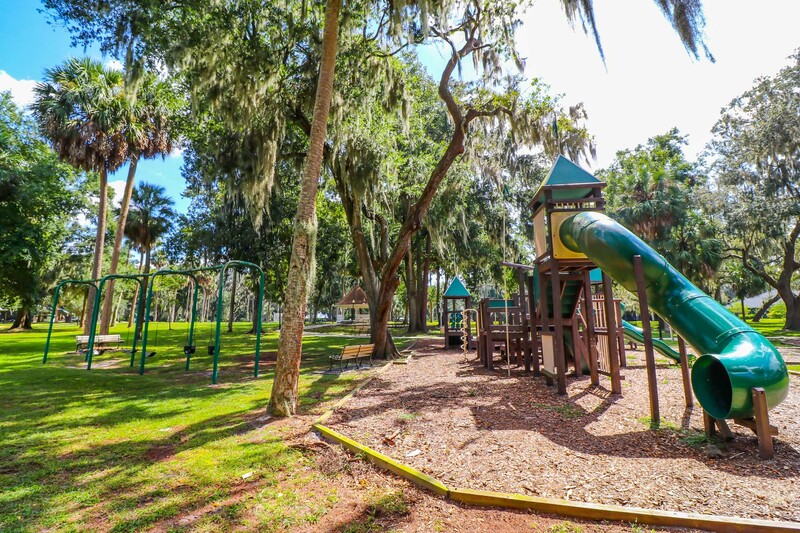 The park overlooks Lake Apopka and is a favorite place for weekend BBQs and birthday parties. Oakland has its own charter school, a popular option for Central Florida families who want to explore alternative school options for their children. Oakland Ave Charter School is a free, public charter elementary school, and their mission is to educate the city’s youth with a focus on community and collaboration. Students at Oakland Ave have access to cutting edge technology in small classrooms and can participate in afterschool activities and community outreach programs. Another reason residents love the city of Oakland is because of how easy it is to connect with nature. One way locals do this is by exploring the Oakland Nature Preserve. This 128-acre hidden gem in Oakland is open year-round and at no charge. It combines environmental education and eco-tourism activities that allow people from all over to connect and appreciate the natural beauty of Oakland. The Nature Preserve features a 2/3 mile boardwalk that leads visitors into shaded wetlands, where they have opportunities to see alligators, birds, turtles, and a wide variety of plants. There are six different hiking trails throughout the preserve, ranging from 0.2 miles to a little under a mile. There is also an educational center and nature museum on site, which hosts classes, workshops, and monthly events for our members of the community. While Oakland doesn’t have a vibrant shopping center, it is close to outlets and shopping malls like the Grove in Windermere and the Winter Garden Village. From almost anywhere in Oakland, you’re only about 15 minutes from big-box stores such as Walmart and Target, and chain restaurants such as Chick-fil-A, Starbucks, Panera, Chili’s, and Chipotle. You’re also very close to retail shops such as Old Navy, Lane Bryant, Ross, and a brand new Nike store. While these aren’t technically in Oakland, they are easily accessible from Oakland main roads and give residents plenty of options for shopping and dining. Oakland also has a handful of furniture stores, both locally owned and nationally recognized brands. You can also find antique shops and thrift stores tucked under the oak trees of the city, along with a few patio cafes and coffee shops. One hidden gem that locals don’t want you to know about is DG Donuts. This incredible donut shop is tucked away in a gas station in Oakland but produces some of the city’s most beautiful and creative donuts. Check them out early in the day, because once the donuts are gone, they’re gone! Oakland residents live here because they enjoy being able to sneak away from the crowds in the traffic and enjoy the outdoors. 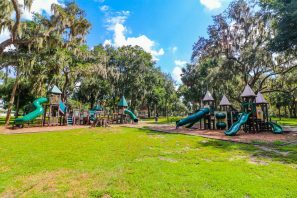 Along with Oakland Park, this beautiful city has playgrounds and open spaces that are perfect for soaking up the sun and getting some fresh air. Speer Park is located on North Tubb Street and features a shady playground area, picnic area, pavilion, and barbecue grill. 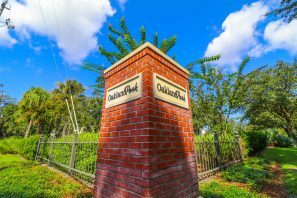 The West Orange Trail runs right through Oakland, giving residents easy access to Central Florida’s most widely used walking and biking trail. And while technically not in Oakland, Newton Park is a popular lakefront park that has a boat launch, fishing pier, and playground, and is a popular weekend hangout spot for Oakland residents. You don’t have to be in one of Oakland beautiful parks to feel like you are engulfed in nature. Just strolling the city’s wide sidewalks under a canopy of oak trees is enough to make you forget about the hustle and bustle of everyday life and stop and enjoy the breezes, the sounds of nature, and the beautiful sights. If you are ready to put your roots down in Oakland, contact us today. We will walk you through the most beautiful parts of Oakland to help you find your dream home amongst the trees.